Life has a way of knocking the wind out of us. We hurt in invisible places and scream in inaudible realms. Pain though painful reminds us that we are alive some days. Breathing is a sign of life too. I believe the enemy, our inner-mes and friendemies cut off our circulation. Preventing us from taking deep breaths and mocking our efforts to fight to do so on the foggiest of days. Don’t be afraid to breathe again. Don’t be afraid to let God breathe into you again. Don’t be afraid of the sound of your resuscitation. P.S. I’m very proud of you. Someone needs to know that. 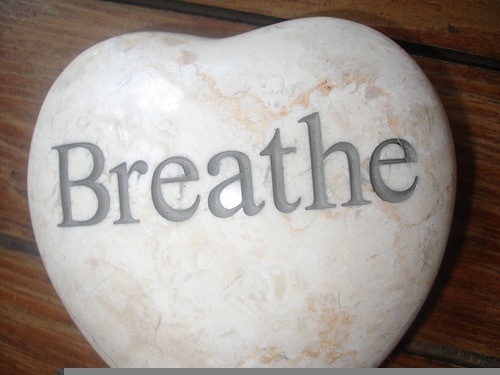 Breathing takes courage. There are times you will need help such as in the natural; e.g. Asthma inhaler, CPR, oxygen tank. But don’t let pride prevent you from getting the help you need. Please feel my heart for you today. I’m praying for you. Crying out to God on your behalf. Breathe. It’s going to be ok. Healing is on the way. Photo Credit: elephantjournal. No copyright infringement intended. This is essential! Thank you.